Peers have selected Dr. Donald Corenman – back doctor at The Steadman Clinic in Vail, Colorado - as a top spine surgeon in the United States. 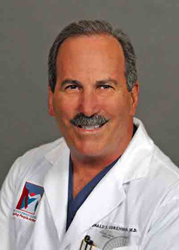 Dr. Corenman is dedicated to innovative treatment, clinical excellence and education. As a back doctor at The Steadman Clinic in Vail, Colorado, Dr. Corenman is dedicated to innovations in treatment, clinical excellence and education. As a back doctor at The Steadman Clinic in Vail, Colorado, Dr. Corenman is dedicated to innovations in treatment, clinical excellence and education. In 2015, Dr. Corenman and Physician Assistant, Eric Staruch designed the Sterile-Z patient drape to increase safety and efficiency and to protect patients during 3-D radiographic spine surgery. Dr. Corenman’s popular spine education website NECKANDBACK.COM and his back pain forum ASKSPINEDOC.COM help patients gain a better understanding of the anatomy of the spine, causes of neck and back pain, and treatments available today. Dr. Corenman created the website and personally answers all questions in the neck and back pain forum to help patients learn about the causes of their pain so that they can advocate for their own best care. Dr. Corenman has conducted research on the spine for both surgery and rehabilitation, published many papers and lectured to his peers from Hong Kong to Paris. He has also authored two books, “Everything You Wanted To Know About the Back” for consumers and “The Clinician’s Guidebook to Lumbar Spine Disorders: Diagnosis & Treatment” for medical professionals. Colorado spine surgeon and back doctor Dr. Corenman is Board Certified by the American Board of Orthopaedic Surgery, the American Board of Spine Surgery and the American Board of Chiropractic Orthopedics. As a back doctor at The Steadman Clinic for over 20 years, Dr. Corenman is well-versed at treating both acute and chronic neck and back injuries.